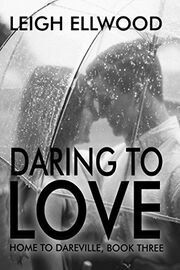 This is a re-release of a book previously titled Daring Young Man. It has been heavily revised for this edition. Lauren McKenna watched her two closest friends find happily ever after, now it's her turn. She won't settle for just any man, either. She only has eyes for Jake - never mind that he's old enough to be her father. Seems like everybody in town wants to treat Jake Marbury with kid gloves. He's not a youngster anymore, but he's nowhere close to retirement. He loves his job, he misses his late wife, and he's not interested in being matched up. Nope. Forget it. How can Lauren convince the silver fox with the heart of gold that he can love again? Will Jake be able to find more to fill his life than work?